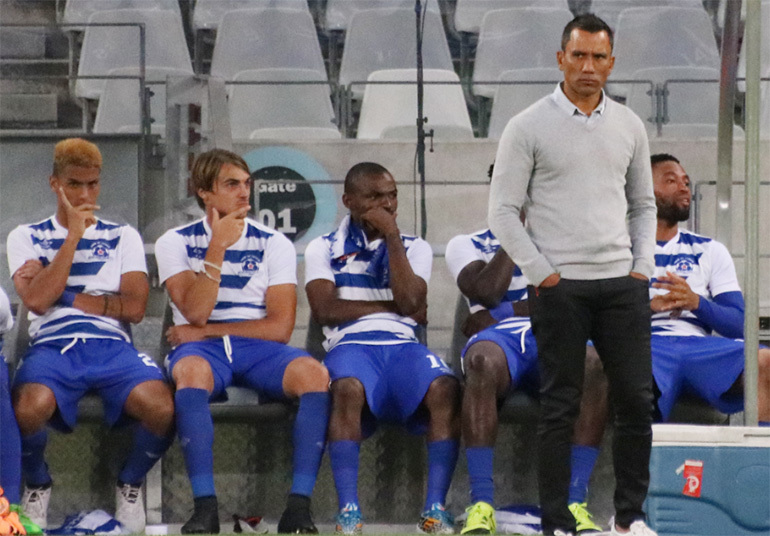 Maritzburg United head coach Fadlu Davids has been in the game long enough to know there are no guarantees in football. The Team of Choice will go in Saturday afternoon’s Nedbank Cup last 32 clash in Dobsonville (3-30pm) with Second Division side Swallows FC as firm favourites, but will certainly not be underestimating their hosts. “We know Swallows are an ambitious team, albeit they are playing in the ABC Motsepe League. But I’ve had a look at a couple of their games and was impressed - quite competitive, quite structured,” coach Fadlu revealed. Coach Fadlu and his technical team have left no stone unturned in their preparations and have been able to take in a preview or two of Saturday’s opponents. “Yeah they have got some got movement on the wings, a good target man up front they like to play to. We’ll be wary of their strengths, but will be looking to exploit their weaknesses playing our style, our philosophy. If we do what we believe in and what we have been doing in training I think we should be okay. The KwaZulu-Natal side will be without a few of their regular starters, although the coach sees this as a chance to give some fringe players a chance to stake their claims. “Yes, we’re missing four key players, Bevan Fransman, Siphesihle Ndlovu, Bandile Shandu, Deolin Mekoa (through suspension), but it’s an opportunity for some other players to put up their hand, to go a little deeper into our squad and to get more game minutes and get their fitness up.